Golden Chanterelle (Cantharellus cibarius), a popular and widely distrubted choice wild edible mushroom. 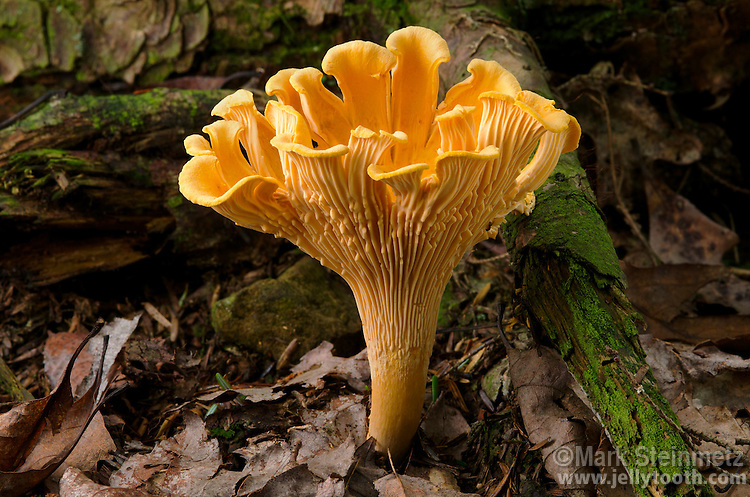 The fertile surface of this chanterelle species has ribs or folds which superficially resemble gills. Mycorrhizal in broad-leaved and conifer woods. Hocking State Forest, Ohio, USA.